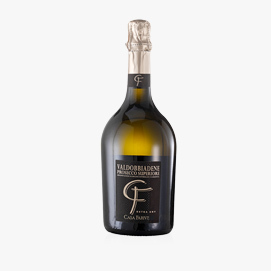 The Prosecco Superiore DOCG is a sparkling wine (spumante) produced only in the territory of 15 cities of Conegliano and Valdobbiadene area. 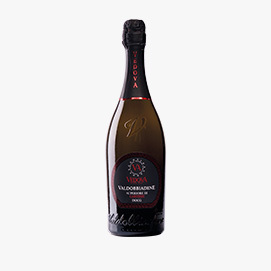 The Prosecco Superiore DOCG can also be “Rive” or “Cartizze” type. 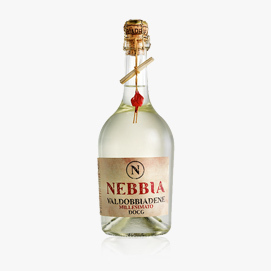 The Rive is produced with grapes cultivated in one single city of the 43 “rive”, the most steep slopes of the hills of the Conegliano-Valdobbiadene DOCG area. It’s a “millesimato” wine (produced with grapes harvested in the same year). The Superiore di Cartizze is the highest quality expression of the Conegliano-Valdobbiadene DOCG and it’s made of grapes grown in a very restricted area (only 107 hectares), within the Valdobbiadene district.